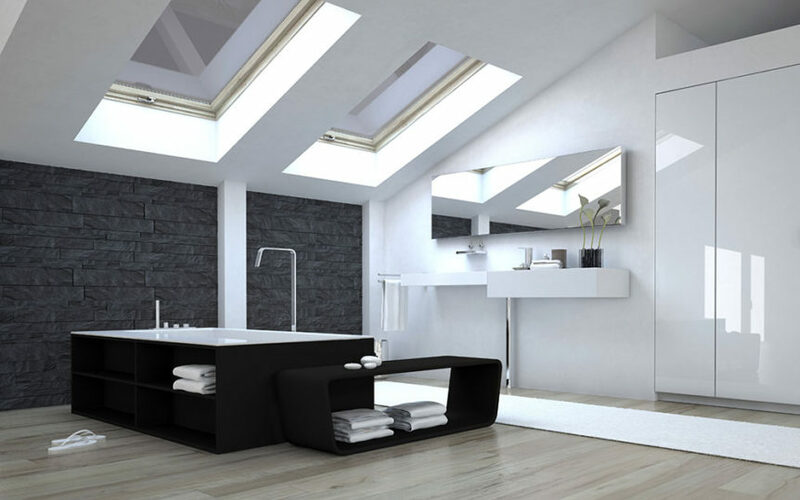 A skylight is a practical way to get a little extra sunshine no matter where you live. They are a beautiful addition to most rooms in your house and are fantastic for letting in the natural light. Most people believe that since skylights are letting in natural light, they can help you save money on your electric bill. Is that truly the case? By making sure your skylights are properly weatherized, you can enjoy the light without drafts and energy loss. Did you know that windows account for around 10–15 percent of your home’s heat loss in the winter? Not only that, but they also are responsible for 30 percent of your heat gain in the summer. Skylights are even more problematic because they’re exposed to more direct sunlight in summer than windows in the wall receive. In addition, during winter, they lose around 40 percent more heat than windows because warm air rises and consequently heads straight for the skylights. To make matters worse, it’s easy to overlook areas of deteriorating caulk and weatherstripping when they are discreetly located high up on the ceiling. That increases the chance of your skylights developing air leaks. These air leaks will waste your conditioned air, cause drafts, and let in air contaminants. In late autumn and late spring, it’s very important that you thoroughly clean your skylights. Cleaning before winter ensures you’ll get the maximum amount of sunlight possible, therefore allowing in the most heat and saving money on your bill. While you’re up there cleaning, make sure to inspect the caulk and weatherstripping around your skylights. If you notice the weatherization material is deteriorating, remove it completely and apply new caulk or weatherstripping. Also have your skylights professionally inspected once a year. Some issues, such as damaged flashing, might be obvious, but there are other issues that may need to be addressed with might take a more experienced eye to spot. Install blinds. Blinds will let you control how much light you get on hot days as well as act as insulation in the winter. In fact, blinds increase a skylight’s energy efficiency by nearly 40 percent. Blackout blinds used on a fixed skylight can boost energy efficiency by up to 45 percent. If you’d like some help improving your home’s weatherization, contact us at Mora’s Heating and Cooling in the Idaho Falls, Idaho area.